Healthcare and medical technology moves on in leaps and bounds with every passing day. 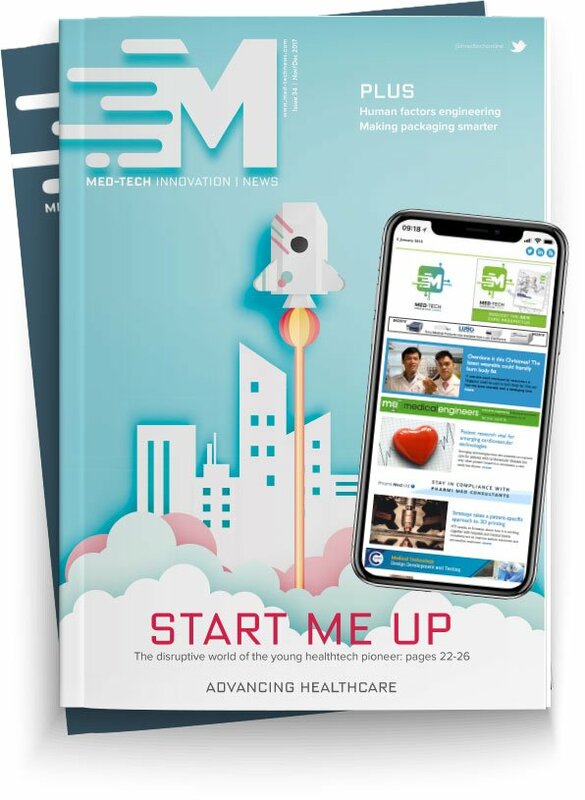 And this year, at Med-Tech Innovation Expo, the organisers acknowledge the importance packaging has to play in the medtech sector; from content tailored to the packaging industry to key packaging exhibitors. This presentation will cover the development of simulation for thermoformed custom packaging, design and product integrity testing, predicted behaviour and performance, and first prototype samples. The session will also examine how simulation can provide data on material thickness during forming and how it can impact drop testing and reduce material gauge towards more sustainable solutions. The discussion will encompass package integrity testing, USP 1207, and regulatory shifts to come. Package integrity testing is of crucial importance. Taking the right approach to establish package quality testing protocols and implementing the proper test method is no longer an option but is necessary to reduce patient or consumer risk by delivering high-quality, defect-free packaging. This session will present a holistic approach to simulation of an injection-moulded drug-delivery system. The presentation will demonstrate the importance of considering manufacturing processes when validating in-service performance and how simulation tools can be used to inform the design process. Nelipak, a global leader in Healthcare Thermoformed Packaging with world class reputation for quality and service will be on stand F3. Nelipak provides custom-designed plastic packaging to the medical device and pharmaceutical markets, which protects their products to the point of use. Oliver Healthcare Packaging is a leading supplier of pouches, lidding, roll stock, and mounting cards for the global healthcare industry and will be on stand D7. Their packaging protects medical devices and pharmaceutical products throughout the sterilization, shipment and storage processes. Bemis Healthcare Packaging will be on stand G29. They provide high-quality, engineered packaging solutions tailored for the protection of cutting-edge medical devices, sensitive drugs and sophisticated diagnostic systems. Specialising in the manufacture of co-extruded, laminated and flexible films, foil barrier laminations, pouches, bags, thermoformed trays, lids, labels heat seal coated DuPont Tyvek and medical grades of paper. Their 100% Healthcare Packaging dedicated plants means they are able to provide the materials you need for the efficacy of your product. MPH will be on stand F10 and are suppliers and manufacturers of printed flexible packaging and labels, including sachets, pouches, flow wrap, top and base web constructions for the Pharmaceutical, Medical and Healthcare sectors. Innovators in ‘Reductive Laminates’ and Anti-Bacterial Coating Technologies. Riverside are specialists in complex medical device manufacture, medical packaging solutions and contract fulfilment and will be exhibiting on stand F3. Riverside Medical Packaging are a leading supplier of packaging machines and complete packaging line solutions. Operating from a state of the art 4,700 sq metre manufacturing facility tailor-made specifically for the manufacturing of medical packaging and products. With over 40 years' experience across the UK and Ireland, IPP (formerly APP) is a technical distributor of manufacturing equipment to the pharmaceutical and medical device sectors, specialising in packaging equipment, packaging inspection and testing equipment, automation and manufacturing equipment, and serialisation equipment. Their technical expertise in understanding the requirements and in delivering solutions is based on years of experience working with Life Science clients. They can be found on stand D3. Register here for the Med-Tech Innovation Expo.